Is That Summer Cold Caused by Your Air Conditioner? This entry was posted in Air Conditioning on July 18, 2018 by Bruce's Air Conditioning. Have you heard coughs and sneezing lately? Are you struggling with a bug that you can’t seem to shake? While it’s not cold and flu season, there are still plenty of viruses to go around, and this summer seems to be especially bad when it comes to upper respiratory infections. But, could those unpleasant symptoms be caused by your air conditioner? It’s a question that many Arizona homeowners often ask, and the answer is actually multi-faceted. Many people believe that cold temperatures produce colds. Yet, this theory never has been proven true. However, that’s not the end of the story. Cold, dry indoor air can aggravate eyes and the mucous membranes in your nose, which can make catching a virus more likely. It has been proven that viruses are more likely to hit individuals with weakened immune systems. One cause of lagging immunity is stress on the body caused by moving between chilly, air-conditioned indoor spaces and fiery hot outdoor heat. 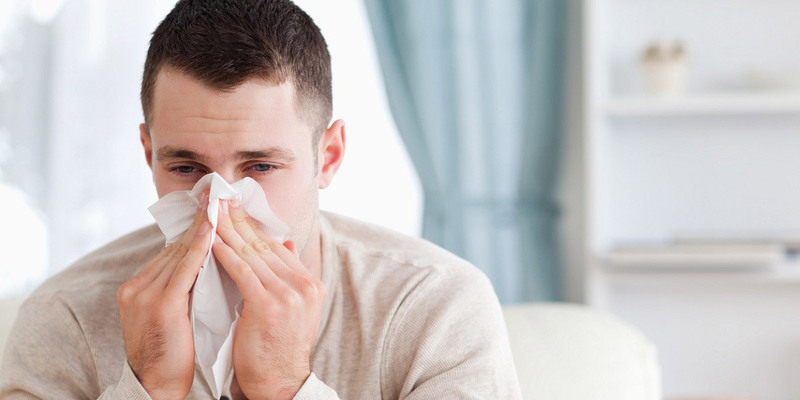 The common symptoms of colds, like sneezing, stuffy noses, coughing and sore throat, can also be caused by allergies. Airborne, allergy-inducing contaminants, such as pollen, animal dander and mold, are commonly found in HVAC systems with dirty air filters. When they are blown into your home, the result can be cold-like symptoms that never seem to get better. Learn more about how to care for your air conditioner to ensure the comfort and health of you and your family. Call us at 480-968-5652.